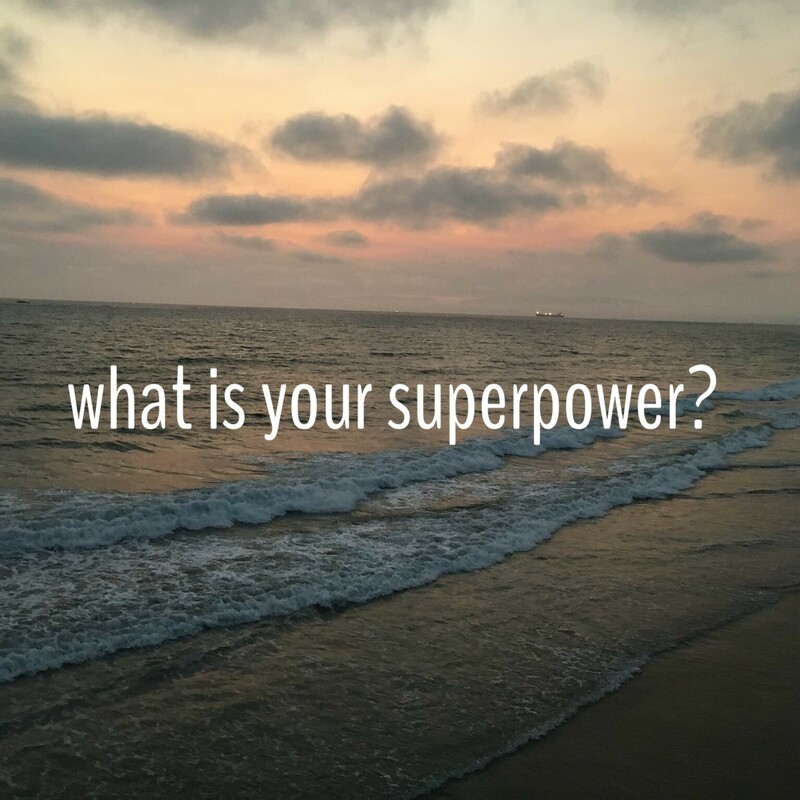 Thinking about superpowers a lot recently… do you know yours? I’ve not been actively focused on them but I’ve found myself people watching and wondering about them. I’ll be sitting in an airport waiting for a flight and see someone, a stranger, and the thought pops into my head, “I wonder what her superpower is.” It’s silly, really, and I have absolutely no idea why it has been popping up lately. I don’t just wonder about her strengths; I also wonder about her needs. What she is missing in life, who she has lost, what she longs for. Men, too. Sometimes I notice an older man who very carefully tends to his aging wife. You know the one. He makes sure she is seated before he is, that she has her napkin, helps her with her order or unwraps the straw and places it in her drink. Ever so carefully and thoughtfully tending to his lady. Fascinating. His super power is clearly tender, loving care. What is his need? Airport wondering. Today, I thought a bit more about my superpower. I decided that my super power is this: I can breathe underwater. Multiple times throughout my life, I’ve dreamed of this special ability. I’ll be swimming somewhere and discover within the dream that I can breathe while underwater. Joy and exhilaration surge through me as my special ability presents itself. Breathing underwater is so freeing. It eliminates all fear. And it totally doesn’t matter how many times I’ve had the same revelation in a dream, it always feels exciting and new! Each time I dream this, I carefully test out the newfound ability since I never remember inside the dream that I’ve dreamed this before. I test it with small breaths at first. Tentative, hesitant. Then bigger, deeper breaths. Then huge gups of air in the water. I don’t breathe water, you see. That’s crazy. I would drown. Even in my dream, I know that! Nope, I breathe air under water. Pretty amazing, right? Maybe you’ve dreamed that as well and know exactly the feelings I’m describing. In recent years, I’ve discovered that this ability to breathe under water actually serves me well while I am awake. Breathe in, breathe out. I first discovered this in Akumal, Mexico, while learning to snorkel with my sister (my favorite teacher of all time). I had my face in the water and I was staring at this enormous granddaddy turtle. He had been around for something like a hundred years, judging by his size. He was casually munching on some sea grass and I watched him, nosy and without any subtlety. I stared at him without any concern for manners. I was enthralled and he was disinterested <munch munch munch>. I breathed in and out, fearful at first then more confidently. I relied heavily on the snorkel mask, of course, but mostly on my own fierce bravery. The ocean filled my ears and sounds were changed. Awareness of surface life faded away and I floated in the moment. I spoke my thoughts to God and Mase. I settled into a deeper understanding of my new life. On that day, I experienced an awakening I will never forget. An empowerment. A reckoning with the majestic and the simple. I’ve written about it before. (If you’re familiar with this blog, you’ll remember those beautiful turtles that inspired me so deeply.) I recently visited them again with a friend. This time, I saw some young’uns. Like, turtle teens, so cute in their newness. Our guide said maybe they were about 40-45 years old (young for turtles). These turtle teenagers were still figuring themselves out and finding the perfect patch of seagrass. I envied them. The calmness they dwell in, mostly oblivious to the manic world above the ocean’s surface. They had no idea the pressures I was facing at work, the challenges with upgrading my recently purchased condo, or the unhealthy love affair I was having with wine and Gardetto’s. Those turtles had such peace. I instantly loved and revered them, so I didn’t resent their peaceful lives but, I admit, I was close. I breathed underwater on that second visit too. I quieted my mind and sat in the moment. Well, swam and floated, swam and floated. I let go of things that weren’t mine to hold onto and reminded myself that simplicity is a choice and peace of mind is available to us all. I breathed in and out and I gaped in awe at the turtles. They had inspired me the first time I saw them and they still held the same magic. (They weren’t trying a little extra for me nor did they feel any sort of special attachment to me that I was aware of. One may have winked at me in solidarity, but it’s possible he does that quite often as hundreds of chubby, white touristy legs thrash above him all day. If I am honest, I’ll confess the admiration was truly one-sided, but it was still magical). Once again, my superpower was present and I tested it carefully. I held my head just right. One slip and I would have a lungful of salt water and my mermaid moment would be forever dashed against reality’s rocks. My friend swam alongside me and gawked at turtles with me. We rolled to our backs and let our life jackets support us while our legs rested. We looked back towards shore and marveled at how far we had come. Who knew we could do what we had just done? We still talk about that day and always make sure to mention to whoever will listen how very far we swam. Seriously, it was FAR. 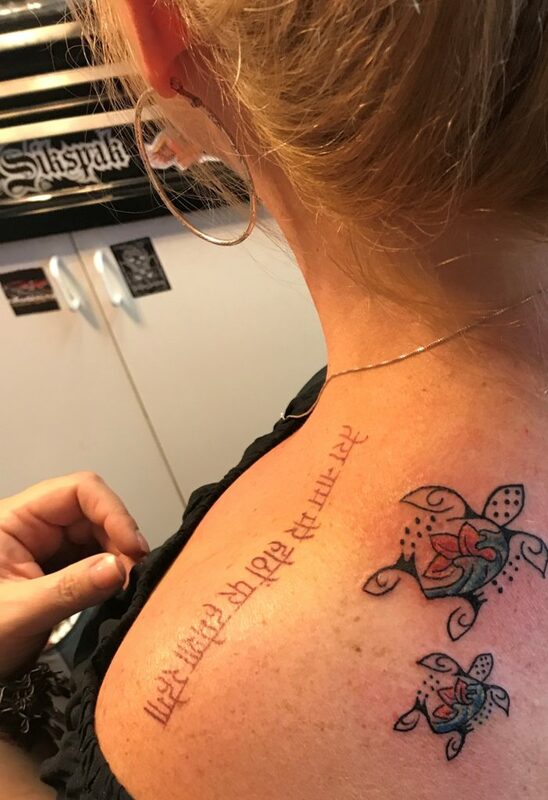 When we came home, we got matching tattoos of those turtles to commemorate the best trip ever, the preciousness of friendship, and in my heart of hearts, I knew I wanted those turtles to forever remind me of the moment I discovered the special ability of my dreams was actually my real life super power. Last year, I balanced my time between the aMasongrace project and my full-time job as a sales manager for a global pharmaceutical company. I squeezed speaking dates in between work travel and worked weekends to offset long lunches spent with kids at assemblies. I travelled across the US and ‘started the conversation’ with thousands of students in multiple states. Yes, THOUSANDS. The impact of those assemblies and classroom chats and youth group visits was far reaching and life changing. I have letters and emails and texts and pictures to cherish for a lifetime – examples of real lives, precious souls, who were directly impacted by my efforts. Lives were saved. Hearts were changed. I am so proud of that. So thankful to have served in such a way. This year, I deliberately slowed myself down. The need for awareness and support and resources has never diminished – in fact, it’s my opinion that it continues to grow. However, I had to force myself to find the off switch. I needed a minute to breathe. I was facing an enormous organization restructure during which my current position was eliminated and my future position was unconfirmed for a few months. I was knee deep in remodeling a condo I had recently purchased and living out of hotels every other week with my work and aMg travel. I wasn’t resting, or recovering, and really couldn’t operate as my best self. I was also running from a very dark cloud that threatened to park itself above my life and heart. 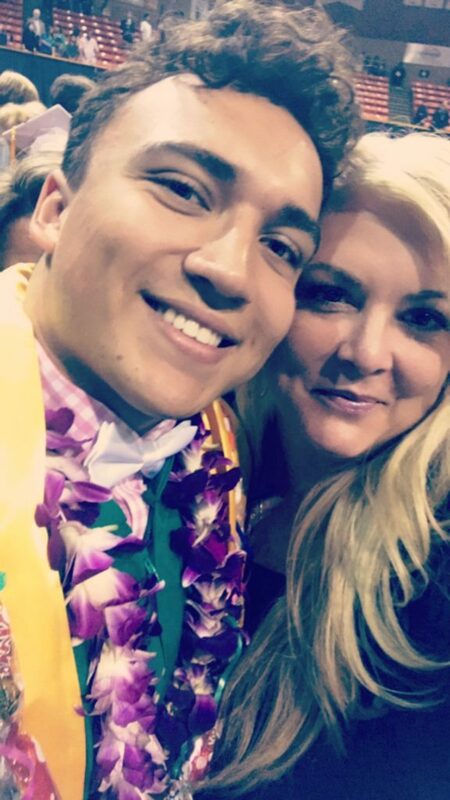 As the first few months of the year passed, my son’s high school graduation date quickly approached. He would have graduated high school in June of this year. We missed every single milestone of his high school experience because he never made it out of eighth grade. I hate that so much. For me, for him, for his friends. I hate everything about the reality of life without him. It is still unbelievable. I hadn’t planned on ever seeing the Class of 2017 graduate because Mason wasn’t here to walk across the stage. However, I couldn’t have known how dark those days leading up to graduation would be for me. I’ve never been in this moment before and certainly no one could have explained to me how it would feel. A bright spot during the graduation season came unexpectedly… I was honored to receive graduation invitations from two friends who were very special to Mase, and one of his favorite cousins. Anna graduated from Veteran’s Tribute Career & Technical Academy, the magnet school Mason was accepted into and where he had planned to study Law Enforcement. 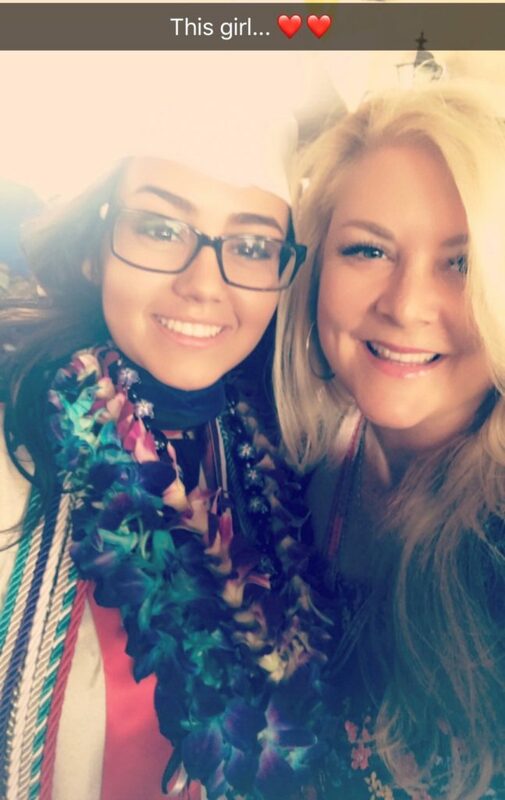 I was so thankful to watch her walk across the stage and to be a part of that beautiful ceremony, although I desperately wished my son was there. 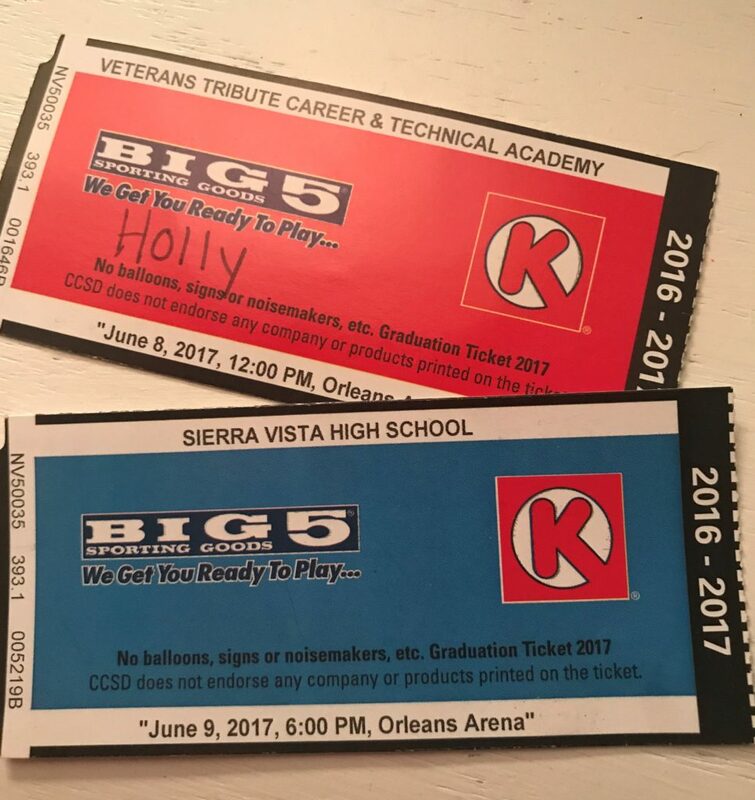 I also received an invitation to attend the graduation of Sierra Vista High School from Alisa (the girl Mason affectionately nicknamed ‘Steve’ for reasons of his own); this is the high school where Mase would have been zoned and where many of his closest friends attended all four years. As those graduates crossed the stage, I was snapping pics as quickly as I could. I recognized so many names – his friends from middle school, kids who had come to pool parties at our house, kids I had given rides to and waved at while doing after school pick ups or morning drop offs, many of whom had taken care to keep in touch with me over the years following the loss of their friend. They are all grown up and I am so very proud of every single one of them for their achievements. Ohhhh, how I wish Mase was with them. I think Mase would be proud of them and thankful for the TLC they showed his mama after he left. 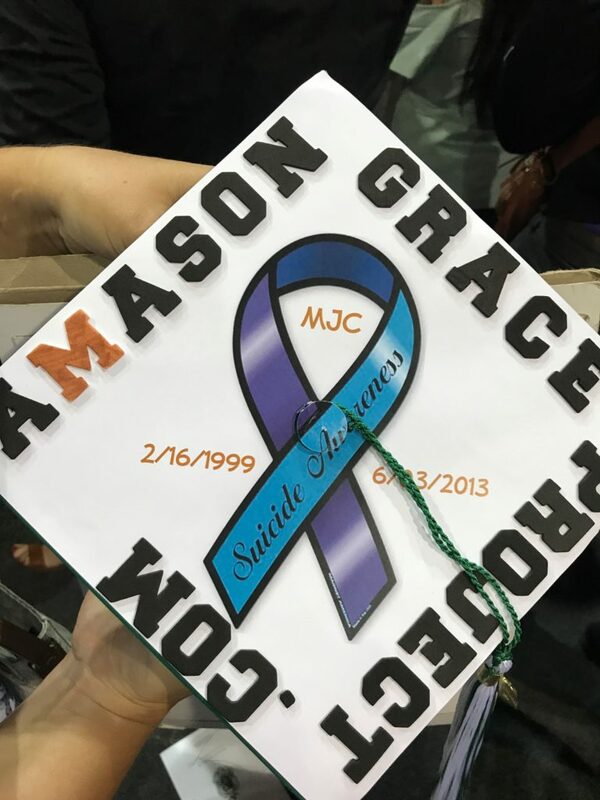 Another invitation came from Jordan, a cousin-of-sorts, who decorated his graduation cap to honor Mason’s memory. You might think it is silly, but I had to tap into my superpower for this. Life was threatening to drown me. Calling it ‘A rough season’ would be an egregious understatement, for sure. I had to force myself to breathe when it felt almost impossible. I imagined what it sounded like to hear the ocean fill my ears and mute the noise of the world, of life, of guilt, of concern, of responsibility. Do you know the sound I’m talking about? It’s not the waves, although those are very soothing; it’s the actual sound of the ocean when you’re in it, when you’re under it. The immense silence and the incredible sound of vast and deep waters. An occasional bubble. Some warped above surface noise, distorted and muted, but mostly just the thick silence. The ocean filling my ears, the under-water pressure filling the space where life’s pressures threaten to dominate. And then I breathed. Breathed in, breathed out. And I focused on the majestic, the amazing, the simple. Maybe a better writer would label it something other than a superpower, but I kinda like that label. If I look back across four years for a strength that has emerged through the greatest tragedy of my life, it would be this. There I was, in the middle of major change and enormous stress, surging waves of intense grief and pockets of incomparable joy fighting for space in my heart, and I took the next right step, did the next right thing, and breathed the next small breath. I muted the noise and focused on one special, peaceful thought at a time. What do you want to do? What do you want to feel? What do you need to face? What wound needs tending? What love needs extending? Today, I find myself in another airport. I’ll fly to another city, and check into another hotel, and I’ll give thanks for another day in which I was able to breathe, focus, survive, and thrive. Tomorrow, I’ll work with another person, I’ll complete another task, and fill another day. I’ll see people I know and strangers I don’t, and I’ll marvel at their superpowers. I’ll wonder about their needs. I’ll hope for them to remember how aMazing this journey can be and how special each of us is even when our immediate circumstance tells us otherwise. Where is your strength? What is your need? Where does your soul need tending and mending? Go under the surface for a minute and let the sounds and distractions fade. Breathe in and breathe out. I bet you can develop this superpower too. 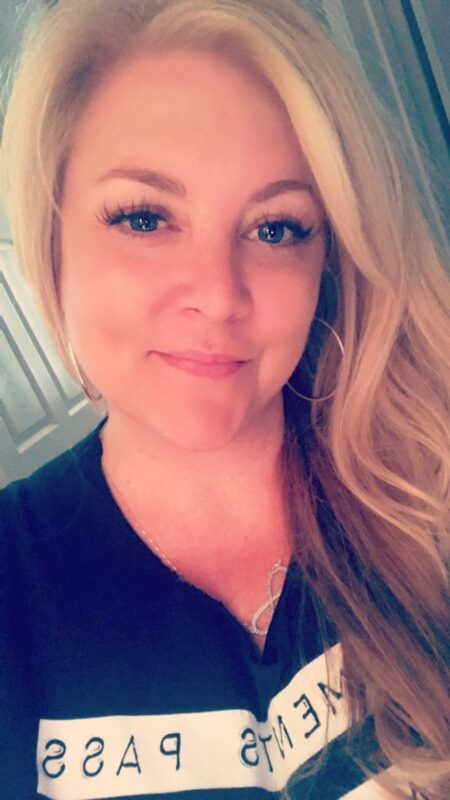 The blog, It’s Just Me, is written by Holly Chamberlain, who makes a living as a regional sales manager for a global pharmaceutical company but makes a life by working with teenagers, teachers, and parents to redefine the criteria for who is ‘at risk’ for self-harm and suicide. She is the Founder of the aMasongrace project and shares three empowering messages to offer hope, help build resilience, and improve self-esteem: Moments Pass, Please Stay, You Matter. Holly that was a most beautiful read, I felt every sentence and went through so many emotions. I am so grateful to have met you in person and spent time with you, you are quite simply an aMasing person who has touched so many lives in such a good way.